Mohamed Eddouks is Professor at Moulay Ismail University, Faculty of Sciences and Techniques Errachidia, Morocco. He is a researcher in Physiology and Pharmacology with a Master Degree in Metabolic and Molecular Endocrinology from University of Paris vi, a specialized certificate in Endocrine Pharmacology from University of Paris vii and PhD degrees in Physiology and Pharmacology from University of Liege, Belgium and Sidi Mohammed Ben Abdellah University, Fez, Morocco. After his post-doctoral fellowship at Department of Physiology, Faculty of Medicine of Montreal, Canada, he is working for the last 13 years on medicinal plants. His work on antidiabetic and antihypertensive plants is well recognized globally. His contribution to this field includes three international books and more than 75 peer-reviewed articles and book chapters of international repute. He is Guest Editor of American Journal of Pharmacology and Toxicology, Lead Guest Editor of an annual special issue published by Evidence-Based and Complementary Alternative Medicine, Regional Editor of the Following journals: American Journal of Food Technology, Journal of Applied Sciences, Trends in Applied Sciences Research and Singapore Journal of Scientific research, Member of Editorial Board of several international journals. He has been honored with the first Prize of Scientific Research in 2008 by the Moroccan Association of Research and Development. 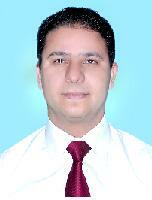 He has been the Dean of Polydisciplinary Faculty of Errachidia from 2008 to 2012. His research focuses on ethnobiological as well as pharmacological issues in the use of Moroccan medicinal plants for the treatment of diabetes mellitus, obesity and hypertension. 1. Eddouks M, Chattopadhyay D, Zeggwagh NA. Animal models as tools to investigate antidiabetic and anti-inflammatory plants. Evid Based Complement Alternat Med. 2012;2012:142087. 2012. 2.. Zeggwagh NA, Michel JB, Eddouks M. Vascular Effects of Aqueous Extract of Chamaemelum nobileâ€Š: In Vitro Pharmacological Studies in Rats. Clin Exp Hypertens. 2012. 3.. Oufni L, Taj S, Manaut B, Eddouks M. 2011. Transfer of uranium and thorium from soil to different parts of medicinal plants using SSNTD. Journal of Radioanalytical and Nuclear Chemistry, 287; 403-411. 4. Zeggwagh NA, Moufid A, Michel JB, Eddouks M. Hypotensive effect of Chamaemelum nobile aqueous extract in spontaneously hypertensive rats. Clin Exp Hypertens. 2009.31(5):440-50. 5. Zeggwagh NA, Farid O, Michel JB, Eddouks M. Cardiovascular effect of Artemisia herba alba aqueous extract in spontaneously hypertensive rats. Methods Find Exp Clin Pharmacol. 2008. 30(5):375-81. 7. Zeggwagh, N-A., Eddouks, M. Anti-hyperglycaemic and hypolipidemic effects of Ocimum basilicum aqueous extract in diabetic rats. American Journal of Pharmacology and Toxicology. 2(3): 123-129, 2007. 8. Lemhadri, A., Burcelin, R., Eddouks, M. Chamaemelum nobile L. aqueous extract represses endogenous glucose production and improves insulin sensitivity in streptozotocin-induced diabetic mice. American Journal of Pharmacology and Toxicology. 2(3): 116-122, 2007. 9. Lemhadri, A., Eddouks, M., Burcelin, R. Anti-hyperglycaemic and anti-obesity effects of Capparis spinosa and Chamaemelum nobile aqueous extracts in HFD mice. American Journal of Pharmacology and Toxicology. 2(3): 106-110, 2007. 11. Zeggwagh, N-A., Michel, JB., Eddouks, M. Cardiovascular effect of Capapris spinosa aqueous extract in rats Part II: Furosemide-like effect of Capparis spinosa aqueous extract in normal rats. 2(3): 130-134, 2007. 12. Zeggwagh, N-A., Michel, JB., Eddouks, M. Cardiovascular effect of Capparis spinosa aqueous extract. Part III: Antihypertensive effect in spontaneously hypertensive rats. American Journal of Pharmacology and Toxicology. 2(3): 111-115, 2007. 13. Zeggwagh, N-A., Eddouks, M .Michel, JB. Cardiovascular effect of Capparis spinosa aqueous extract. Part VI: in vitro vasorelaxant effect. American Journal of Pharmacology and Toxicology. 2(3): 135-139, 2007. 16. Zeggwagh NA, Ouahidi ML, Lemhadri A, Eddouks M. 2006. Study of hypoglycaemic and hypolipidemic effects of Inula viscosa L. aqueous extract in normal and diabetic rats. Journal of Ethnopharmacology. 24; 108(2): 223-7. 17. Lemhadri A, Hajji L, Michel JB, Eddouks M. Cholesterol and triglycerides lowering activities of caraway fruits in normal and streptozotocin diabetic rats. Journal of Ethnopharmacology 2006 19; 106(3):321-6. 18. Eddouks, M., Maghrani, M, Michel, J-B. Antihypertensive action of Lepidium sativum in SHR rats. In Press. Journal of Herbal Pharmacotherapy.Eddouks, M., Michel, J-B., Mghrani, M. Effect of Lepidium sativum L. On renal glucose reabsorption and urinary TGF B levels in diabetic rats. Phytotherapy Research. 2008 ;22(1):1-5. 19. Eddouks M, Maghrani M, Michel JB. Hypoglycaemic effect of Triticum repens P. Beauv. in normal and diabetic rats. Journal of Ethnopharmacology. 2005; 102(2):228-32. 20. Eddouks, M. 2005. Les plantes anti-diabétiques. Phytothérapie Européenne. 28, 8-12. 21. Maghrani, M., Zeggwagh, N-A., Haloui, M., Eddouks, M. 2005. Acute diuretic effect of aqueous extract of Retama raetam in normal rats. Journal of Ethnopharmacology, 99 (1) : 1331-35. 22. Eddouks, M., Maghrani, M., Zeggwagh, N-A., Haloui, M., Michel, J-B. 2005. Fraxinus excelsior L. evokes a hypotensive action in normal and spontaneously hypertensive rats. Journal of Ethnopharmacology, 99 (1) : 49-54. 23. Eddouks, M., Lemhadri, A., Michel, J-B. 2005. Hypolipidemic activity of aqueous extract of Capparis spinosa L. in normal and diabetic rats. Journal of Ethnopharmacology, 98 (3): 345-350. 24. Eddouks, M., Lemhadri, A., Zeggwagh, N-A., Michel, J-B. 2005. Potent hypoglycaemic activity of the aqueous extract of Chamaemelum nobile in normal and streptozotocin-induced diabetic rats. Diabetes Research and Clinical Practice, 67( 3): 189-195. 25. Eddouks, M., Maghrani, M., Zeggwagh, N-A, Michel, J-B. 2005. Study of the hypoglycaemic activity of Lepidium sativum L. aqueous extract in normal and diabetic rats. Journal of Ethnopharmacology, 97 (2): 391-395.